The A121 Ottoman by Natuzzi Editions at Becker Furniture World in the Twin Cities, Minneapolis, St. Paul, Minnesota area. Product availability may vary. Contact us for the most current availability on this product. Frame Construction Uni-body frame construction ensures superior frame strength and durability which means your sofa will last a long time. Seat Support Comfort. Natuzzi’s innovative construction system adjusts seat support to sitting weight distribution. Padding & Ergonomics According to the design of each model, our craftsmen may use many types of cushioning which perform different ergonomic functions: Foam, Plush Polyester Fiber, and Feathers. Warranty Limited 10 year warranty on the frame. 2 year warranty on suspension system. 2 year limited warranty on cushions. The A121 collection's clean and classic lines enhance its versatility with your personal style. 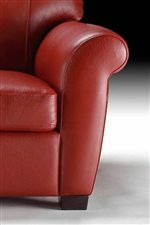 Its pillow features enhance comfort and support while being stylish for today's changing trends. It offers spacious amounts of space for entertaining family and friends. The A121 collection is a great option if you are looking for furniture in the Twin Cities, Minneapolis, St. Paul, Minnesota area. 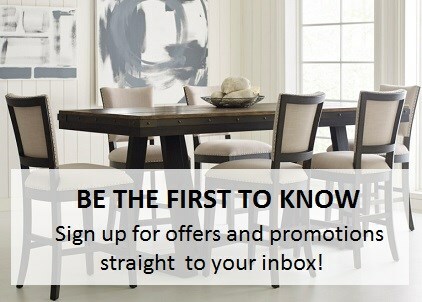 Browse other items in the A121 collection from Becker Furniture World in the Twin Cities, Minneapolis, St. Paul, Minnesota area.